The Green Party has had to "swallow a dead rat" over the waka-jumping bill. The parliamentary committee considering the Electoral (Integrity) Amendment Bill has reported back to Parliament and while the Greens supported it through its first reading, they had indicated that their ongoing support may depend on its final shape. But today the party confirmed it would vote for the bill because it had no other option. The bill, which ensures Parliament's proportionality in the event that an MP leaves or is ejected from a party, is part of the Labour-NZ First coalition agreement but needs the support of the Green Party to pass into law. The Green Party did not raise it as an issue during coalition negotiations. "We are doing this because the confidence and supply agreement holds us to it," Marama Davidson said today. "It's been a difficult decision, which has drawn strong feeling and robust debate amongst our caucus and the wider Green Party. "After lengthy discussion and Party consultation, we reluctantly agreed to support the coalition to enact the bill. "We continue to oppose the idea that a party caucus should have the power to expel MPs from Parliament." Davidson said she was confident the party's supporters would see the gains it had achieved in government and lasting change on the issues that mattered most to them. Green MP and Government Minister Eugenie Sage told reporters her party had swallowed a "dead rat". "The stability of the Government is really important and in a coalition there are negotiations ... This is important to one coalition partner. This is a dead rat that we have to swallow." Former high-profile Green MPs have been critical of the Greens' acquiescence. Sue Bradford and Keith Locke publicly criticised the party, with Bradford calling it "dishonourable". 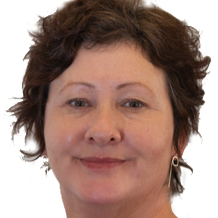 Former Greens co-leader Jeanette Fitzsimons, who formed the party with Rod Donald after they left the Alliance, said in a submission on the bill that "it offended the freedom of conscience, freedom of speech, and freedom of association". New Zealand First leader Winston Peters, whose party had pushed for the law change, said enhanced democracy was not a dead rat. "I don't think the Labour Party, when they brought the bill in originally with a sunset clause, were breaching the democratic process of this country, quite the converse. A whole lot of people back then said it was needed, so what's changed?" he told reporters. "I don't think, for example, that three people should be allowed to walk off from the Green Party and therefore take out the Greens' percentage vote in this Parliament. That's not democracy," he said. Justice Minister Andrew Little said he had had discussions with the Greens over the bill and addressed their concerns. "They have indicated to me since then that they felt they could support the bill and they have confirmed their view now. They're going to support the bill." National's electoral law reform spokesman Nick Smith said there had been a long-standing convention that electoral law changes were made with a certain majority. "Here we have a significant law change that has been driven by a party, NZ First, that has only 7 per cent public support."